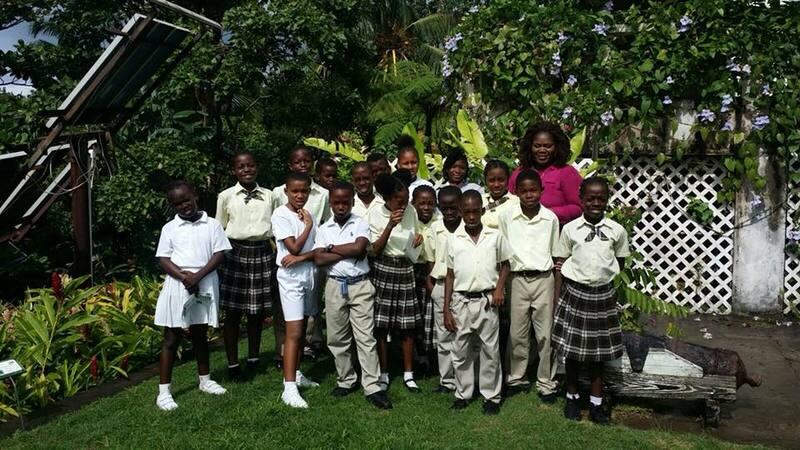 The Lookout Primary School has joined the Adopt a Home for Wildlife project organised by the Montserrat National Trust. In the December edition of the Saving Our Special Nature Newsletter, it was announced that the MNT visited the school to meet withÂ Principal, Mrs Denelta Weekes, to look at theÂ school grounds. The idea is to improve the school environment by teaching students the propagation of seeds and later using the plants to beautify the school. Project Officer Nicolas Tirard identified theÂ possibilities for raised beds for vegetables and other plants on theÂ barren soil-less flattened rubble left by the builders, by bringingÂ in soil from nearby. The Principal saw a need for sun-shadingÂ trees around the boundary of the playing field, as places to allowÂ comfortable outdoor discussions and lessons. The MNT nursery will provide suitable native trees for the project. The help of the PublicÂ Works Department would be needed to machine-dig holes in the material leftÂ by the builders and fill with soil to allow the trees to flourish. This is aÂ problem which the school has wanted to resolve since construction was completed. Recently, students from the school visited the botanical gardens and nursery of the national trust to learn about plants. They also assisted in planting seedlings with staff. The national trust continues to invite community groups, families and individuals to adopt an area to enrich the environment for both humans and animals. Adopters commit to maintaining the selected area by keeping it clean and retaining its uniqueness. Contact Nicolas Tirard at Montserrat National Trust if you wish to adopt a home for wildlife.